Jinco is extending its position as a world leader in powered smart card technology with a series of agreements and continuing innovation. Since it was founded in 2011 by Ted Lin, Taiwan-based Jinco has leveraged its expertise in advanced cold lamination technology to actively develop and produce ISO-format smart cards, including fingerprint-enabled cards with or without rechargeable batteries, as well as one-time password (OTP) display, dot matrix display, Bluetooth, acoustic, and RFID capabilities. 2017 has been a breakthrough year for Jinco, with steadily increasing recognition as a market leader culminating in orders for millions of units under three major deals. In April, as previously reported, Jinco announced a partnership with Elan Microelectronics and Korea Smart ID (KSID) to jointly provide Woori Bank, one of Korea’s largest financial institutions, with fingerprint-enabled smart cards. This project may be the first commercial fingerprint ISO card application in the world, according to Jinco. A second fingerprint card order followed for taxi drivers in Istanbul, Turkey. Jinco will supply fingerprint dual interface ID cards for 140,000 drivers in metropolitan Istanbul which will provide passive fingerprint authentication without requiring a battery. In September, Jinco was awarded exclusive approval for use at the United Nation’s Geneva offices and 18 affiliate organizations, providing fingerprint smart cards for employee building and computer access control. The smart ID cards are expected to be rolled out to 57 other UN organizations around the world in the future. Under the three agreements Jinco will enable customized, cost-effective, and accurate authentication for three different types of organizations in three geographic regions with different application requirements. This demonstrates the range of capabilities Jinco delivers to its partners and clients, and its robust global support for smart card technologies. Cold lamination is the most suitable production technique for powered smart cards, in which fragile electronic components such as fingerprint sensors, batteries, and display surfaces are embedded. Jinco brings extensive experience with cold lamination technology to smart card projects. 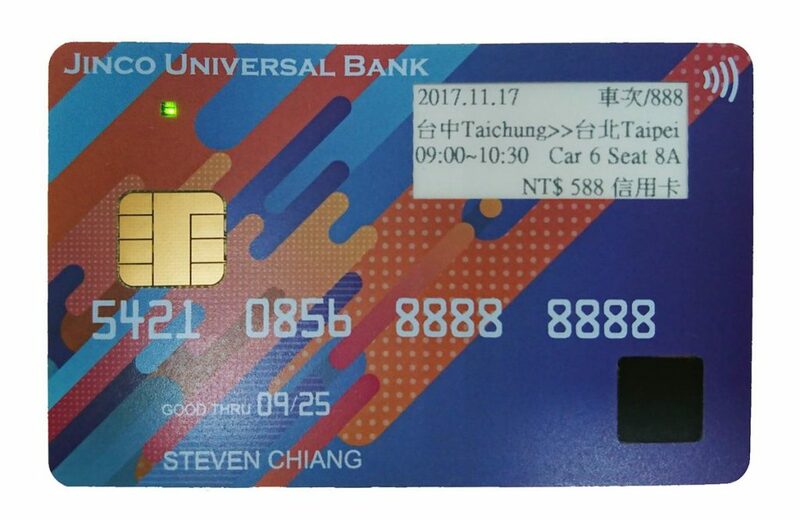 Jinco both manufactures complete cards, and develops and manufactures customized flexible PCB inlays, which enables other card providers to bring their products to market with shorter development cycles and significantly lower risk. Jinco’s fingerprint authentication-on-card (AOC) product protects the user’s data privacy while authenticating with a CMOS fingerprint capacitance sensor with ultra-low power consumption, and protects personal privacy with 64-bit encryption. The main markets the company currently supplies fingerprint cards to include authentication, access control, and bank payment cards, which benefit from major enhancement to their security. It is now developing integrations to leverage leading-edge smart card technologies, such as dot matrix display and Bluetooth connectivity. Jinco will participate in the Trustech exhibition, November 28-30 in Cannes, France. Visit the company at Hall Palais 01 stand H 063.